John Ross Ewing, JR called JR is the oldest son of Jock and Ellie Ewing born in 1939. JR grew up wanting to run Ewing Oil. He wanted to be just like his daddy, Jock. 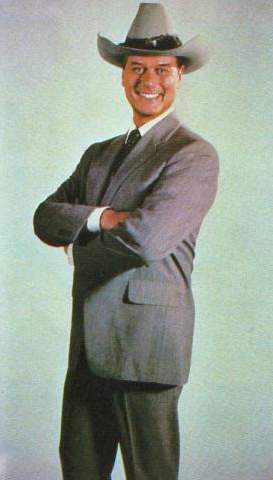 In the 1960's and early 1970's JR became Vice President of Ewing Oil under his father. In 1963 he met the woman who would change his life forever. He met Suellen Shepard Miss. Dallas. She was a contestant in the Miss. Texas Pageant and he was judge. She won that contest and also got JR. They had a long courtship and married in 1971. He still fulled around after they were married and Suellen seemed to put up with it. Than in 1977 Jock retired and JR became president of Ewing Oil. With his daddy retired, Gary off some where in parts unknown and Bobby being a salesman on the road JR was in control of Ewing Oil. That did not last long. In 1978 Bobby brought his new bride, Pamela Barnes home and he wanted to be in the office more. His life changed again when Suellen became pregnant in 1979. JR was so excited and than worried when he learned that the child might belong to Cliff Barnes. Than Suellen started to drink and endanger the baby. She delivered the baby at 7 months after a car accident. Soon through JR learned the baby boy named John Ross Ewing, III was really his. He loved the boy and vowed he would have Ewing Oil one day. In 1980, JR was shot twice as he worked late in his office and he had to let Bobby take his place as president as he healed. The person who shot him was his sister-in-law, Kristin. He did not press charges because Kristin was pregnant with his child. (She had be a mistress of his and the child of his she miscarried.) JR came back to Ewing Oil and Bobby resigned. The year 1981 was one of JR's worst years ever. Suellen walked out on him and want to another man, Dusty Farlow and she even had his son (thanks to that Barnes woman) at the Southern Cross Ranch. Kristin was killed in an accident at Southfork when she fell of the second floor belcony into the pool. JR was investigated, but never charged with her death. JR was down and had to rise again. That happened when he got Suellen to marry him again in 1982 and got John Ross back on Southfork. 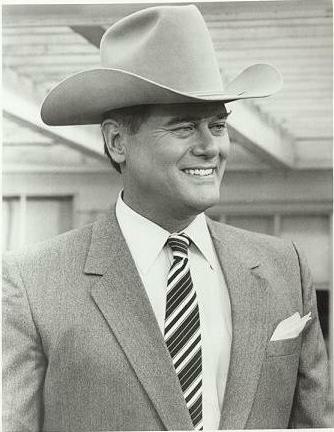 JR was voted out of Ewing Oil in 1982 when he was blamed for the near sucide of Cliff Barnes. Still he got joy. JR got 25 percent of Holly Harwood's company Harwood Oil. 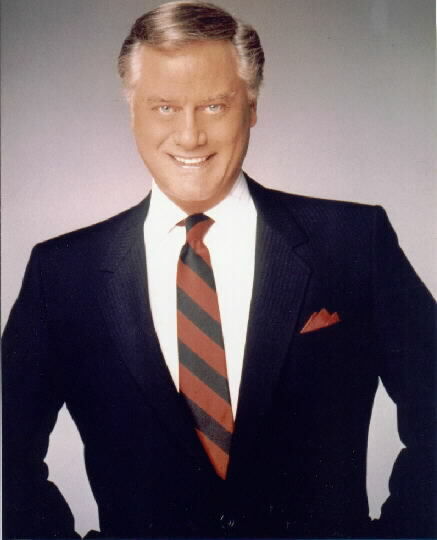 and than he had to compete with Bobby to get Ewing Oil based on Jock's will. He continued to deal with Holly and she was next to take him down. Holly set up JR so that Suellen would find them in bed together in 1983 and than he would have to live with him and Suellen having seperate bedrooms. On top of all that their was a fire at Southfork and Suellen never forgave him for her and John Ross almost dying. Suellen and JR got back together again for a shot time till Jamie Ewing came to town. They did not agree again after that. 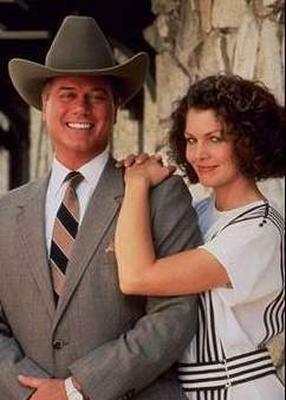 They later divorced, but John Ross stayed at Southfork and JR fought they lower oil prices. 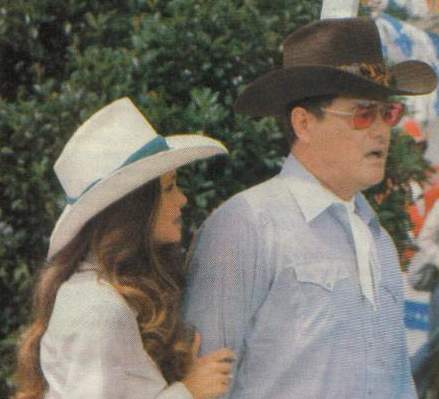 The later years for JR were full of ups and downs including a marriage to Cally Harper, a redneck he had to marry because her brothers said JR raped her. He also had a grown son appear, James Beaumont and his mother, Vanessa who he had been with in a fling. James wanted his piece of Ewing Oil. Cally finally divorced Cally, but couldn't rid of that son, James he never wanted. 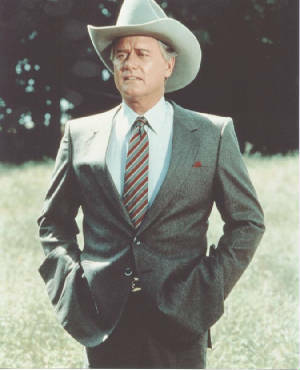 JR is the most remembered character of Dallas. Who Shot JR was the highest rated show of 1981. (Who shot him turned out to be one of his flings.) He has become a remembered moment in history and a face to never be forgotten. Long live JR! Larry Hagman also starred in the long running series I Dreamed Of Jeannie with Barbara Eden. 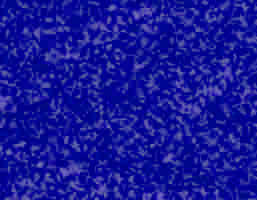 He was in many television movie and can be seen on many television stations at once. Larry is a gift to the history of television and will live on in his many roles long after he is gone. It won't be gone any time soon. After a liver transplant he is healthy and strong and will be around a lot longer. 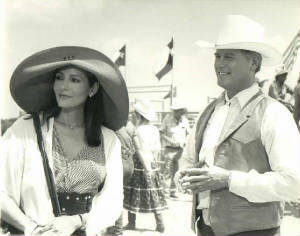 JR and Angelica Nero played by Barbara Carrera. 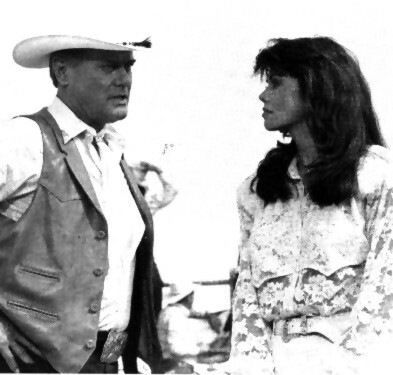 JR and Holly Harwood played by Lois Chiles. JR and Mandy Winger played by Deborah Shelton. She was one of his longest flings and one that got to him. JR and Kristin Shepard played by Mary Crosby. This mistress got to Suellen the most because Kristin was her younger sister. JR and second wife, Cally Harper. JR and Cally marry (above) in a fake ceremony in Halleyville. They married for real at Southfork (below) with the whole family present. Cally at The Oil Baron's Ball (above).